I have missed you all so much! Of course, in my mind there are masses of you all awaiting my next blog post with bated breath, rather than the few of you who read this blog and whom I actually see on a pretty regular basis. But no matter! The Baketress is back to share with you her cooking adventures. I'm only including one recipe in today's post, but I think I want to reward you all with your patience by posting a bonus recipe later this week. As mentioned recently, I have just moved. I am still working as a barista, but now I am a barista who lives much closer to her family and Boyf (though I miss those I've left behind every day). Now let me tell you all a story. At the beginning of September, my email (thebaketress@osetblog.com) was flooded with anonymous comments on my various posts. I read through them all, learning they were all signed by "Dorian Gray", a humble and educated-sounding reader of my blog. And yet, he had left no email, nor any clear indicator of who he (or she!) might be. You may have noticed a note I left for my mysterious Dorian Gray on my Cinnamon Cupcakes post, but alas! No response. I wish I could tell you that this is me. But it is my talented brother. 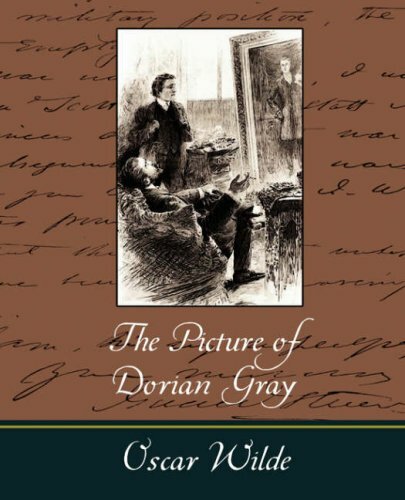 And so I went on with my life, wondering what sort of recipe I could create to honor both my eloquent mystery blog-reader and his horrific and intriguing namesake (I love The Picture of Dorian Gray). The thought sank further and further into the back of my mind, finally pushed aside by the insanity of moving. Last week, I walked into the kitchen to find a big bowl of these. "I finally perfected the recipe!" my brother told me. "Try one!" With my first bite, I knew I had to know how to make these. With my second, I knew it had to be on the blog as soon as possible. And with my thirty-eighth, I did not regret that I might get sick from eating far too many of these incredible little masterpieces. "Can I put this on my blog, and feature you as a guest contributor?!" I asked. "I don't even know what book I'll use yet but I guess I'll probably pick something we read together..." I trailed off, trying to brainstorm a potential book. He had always been the one interested in cooking; my own obsession only came along recently, and I've learned so much from him. He'd be a perfect first guest! "Sure," he said, then paused. "So what will the title be? 'Guest recipe by Dorian Gra- Oops! I mean by The Baketress' brother…"
DORIAN GRAY IS MY BROTHER. HOW DID I NOT REALIZE HIS GENIUS?! 1. Melt butter in a large pan. 2. Add garlic and cayenne pepper. Lots of garlic, and your preferred amount of cayenne pepper. The smell is a pretty good indicator of amount here. 3. Let the garlic caramelize on medium heat until it's light to medium brown. 4. Reduce the heat and add the cubed bread. Toss the bread in the pan until it's all coated in the garlic butter mixture. Add more butter if you need it! 5. After a few minutes, raise the heat back to medium, to give the bread a little crunch. 6. Once bread is at the desired texture (because there's no going back after this part! 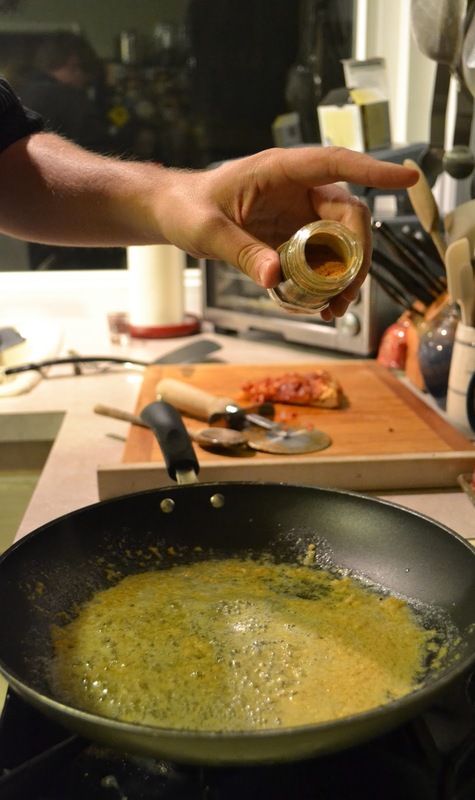 ), sprinkle on glorious amounts of parmesan cheese. You want the cheese to melt but not burn, so toss it quickly and have a bowl ready! These garlic cheese bites are best shared with your sibling, while enjoying a good book. don't forget your nani j!!! dorian gray is one of my favorite movies. very creepy. glad to see your blog is back. kiss your mommy, brother and sister and matt for me and have them kiss and hug you back. i love you, nani j.